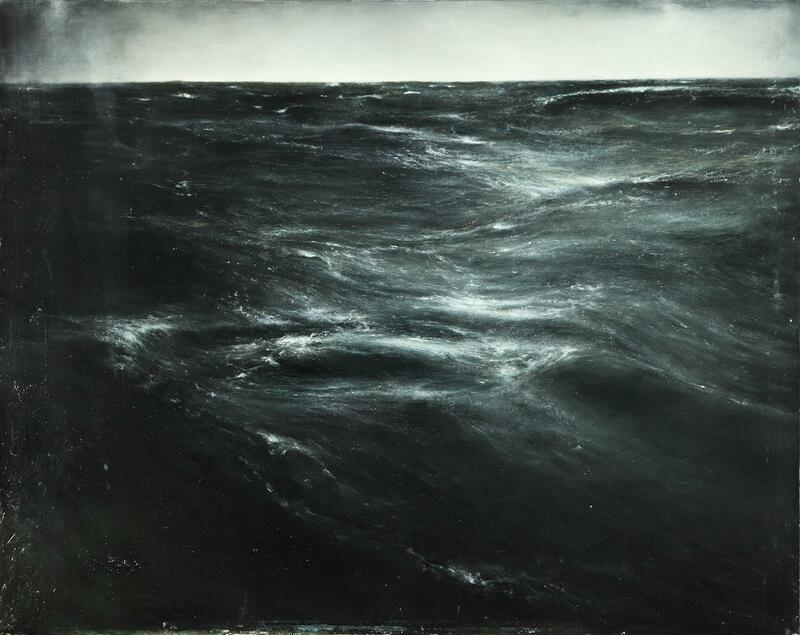 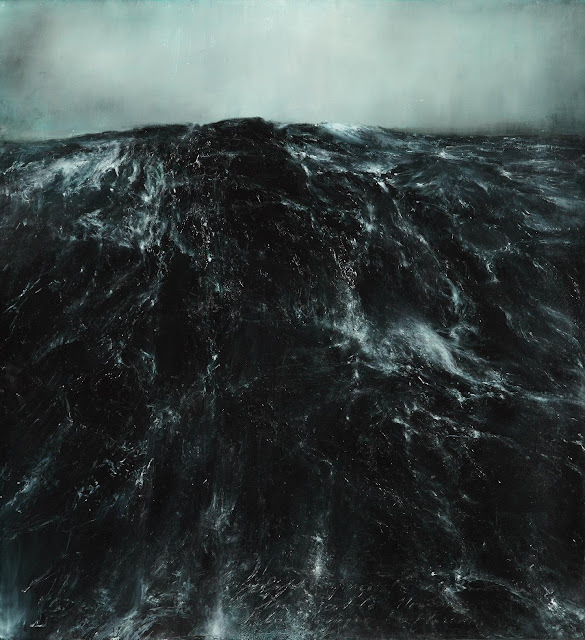 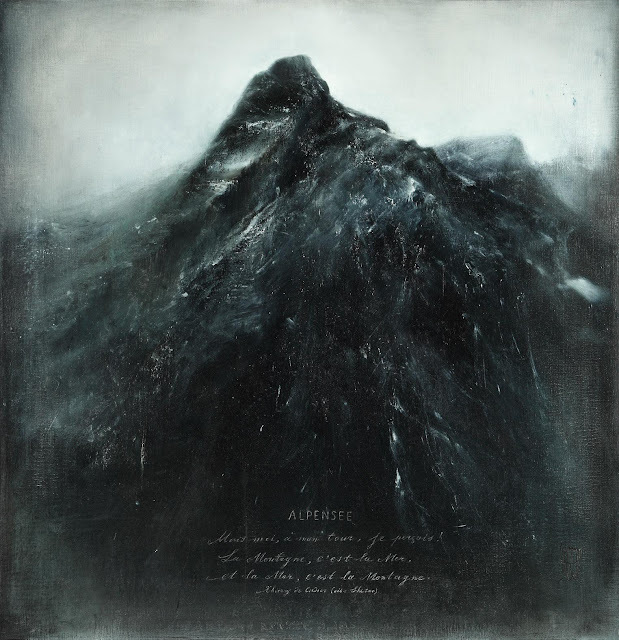 Thierry De Cordier has dedicated himself to painting. 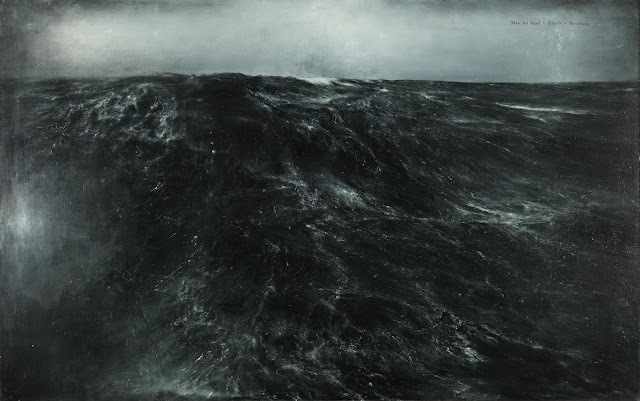 Recurrent themes include mountains, seascapes and desolate landscapes that are partly inspired by the vast, black and white topographical paintings made in China during the 10th and 11th century, yet capture the essential qualities of the landscape and light of Northern Europe. 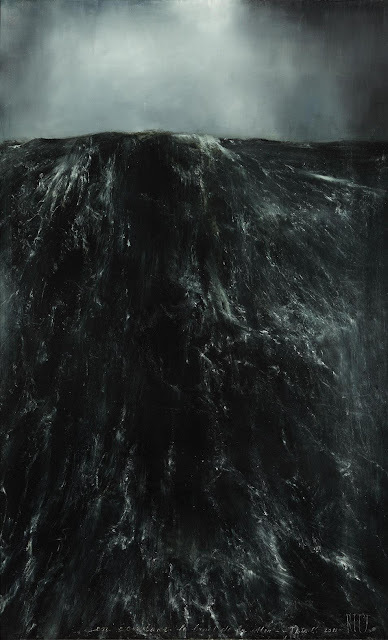 The grey skies and ink black seas of his monochromatic paintings evoke melancholy, with the most dramatic scenes being those in which waves and mountainous cliffs fuse together to embody the forces of nature within a single primal image.